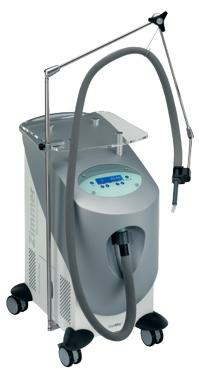 CryoMini with -10° C cold air the CryoMini is developed especially for short and less painful and shorter treatments. With the CryoMini Zimmer MedizinSysteme offers a compact medical system to a more compact and flexible cold air system for short and less painful treatments. Whether Laser, IPL applications or injections, cold air is designed to reduces the pain long term. Treatments are thus significantly better tolerated.